These button parts are intended to be use with Neil button machines. Create buttons with ease using these badge parts. What kind of paper / printing do you recommend? You can use regular paper (like printer paper) or photo paper. Construction paper is too thick and will NOT work. Does this include the plastic covers for the front? Yes, you will receive the pin back, the shell, and the plastic mylar. 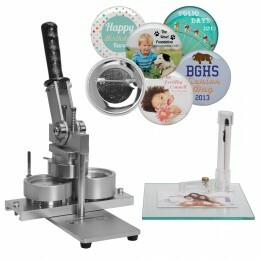 Everything you need to make a button. is it free shipping to New York? No, we do not offer free shipping. To find out the total for shipping please add the item to your shopping cart and enter your zip code. All of our products are sold by the case at wholesale prices. Does this actually make 1000 buttons? Or are there just 1000 pieces to make 500 buttons? 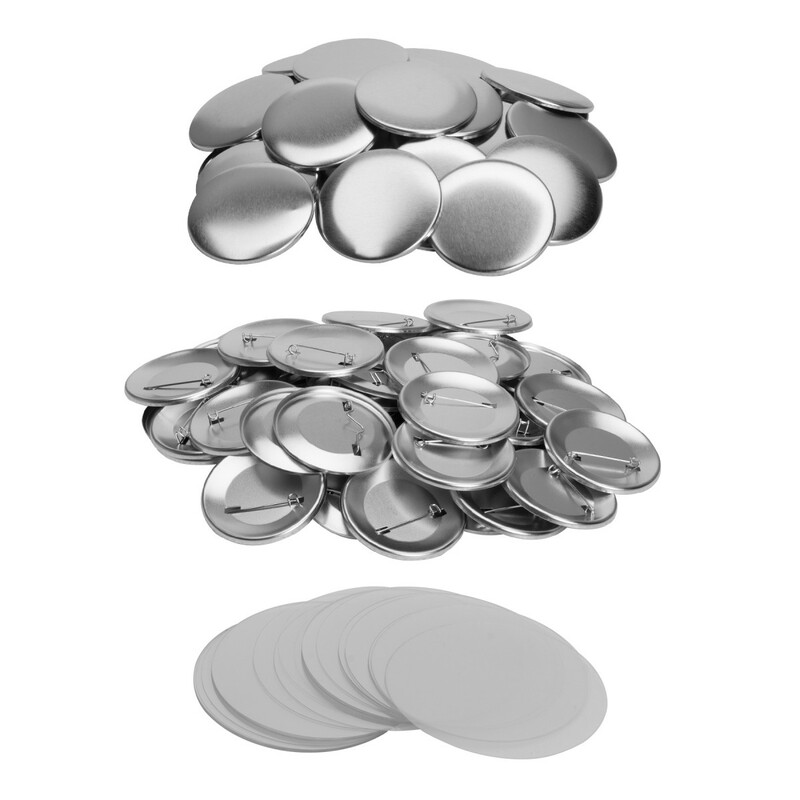 The 1000 pack includes enough parts to make 1000 buttons.